We are fortunate to work on a broad and varied range of cars, many of which have remarkable stories behind them. An important and fascinating part of restoration is the research needed to ensure authenticity and to appreciate elements and finishes which require conservation. Tracing and understanding a car’s history can be hugely important to achieve this. Below is a brief selection of cars we have worked on embracing this ethos. We are lucky enough to possess original period photographs of these cars, giving us the rare opportunity to compare them to current photographs. This stunning Astura carries “Bocca” coachwork by Pininfarina. This coachwork takes its name from the dealership which commissioned the production and was a close family friend of Lancia. Only six cars carried this particular style of coachwork, of which only four survive. This car is one of only two built on the long chassis. The Astura is powered by a narrow angle 2.9 litre V8 engine and employs Lancia’s sliding pillar front suspension. When clothed with this body the Astura was the most luxurious, elegant and expensive car produced in Italy in the 1930s. This particular car was first registered on 17th November 1936 in the name of Navarra Viggiani, one of Mussolini’s generals. It remained on Italian soil until it was sold to the present owner in 2015. It has also retained its Italian registration number – Roma 53070 – throughout its life. This car is totally original and carries a magnificent unrestored body and interior. It still retains the original intricate cross latticed leather seats and elaborate power hood, which Sergio Farina himself designed after being soaked with the roof down in a thunderstorm between Genoa and Turin. 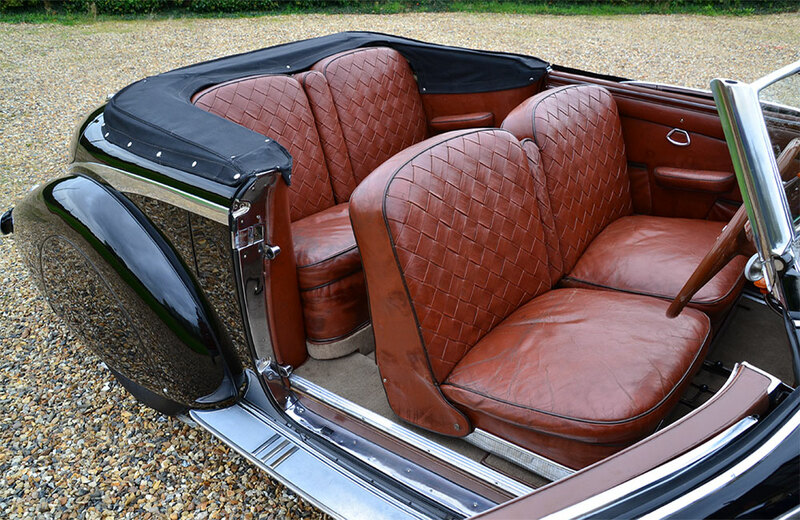 The Farina coachwork is so elegant and striking that it makes even the best of contemporary British coachwork appear old fashioned and conservative. We have carried out a sympathetic and thorough recommissioning, ensuring the car performs like new whilst conserving its original finishes. It has since achieved multiple concours successes. 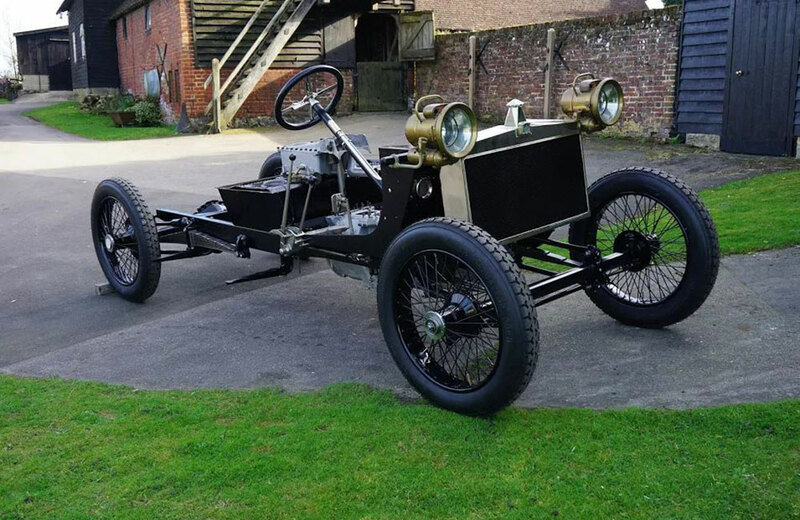 During the early Edwardian period Renault were producing high quality cars that proved themselves as formidable racing cars, winning the very first Grand Prix event held in France in 1906. Early Renaults are very distinctive as they had the radiator mounted behind the engine. To aid cooling, the engine bay was cowled and the flywheel had blades which drew air though the radiator. 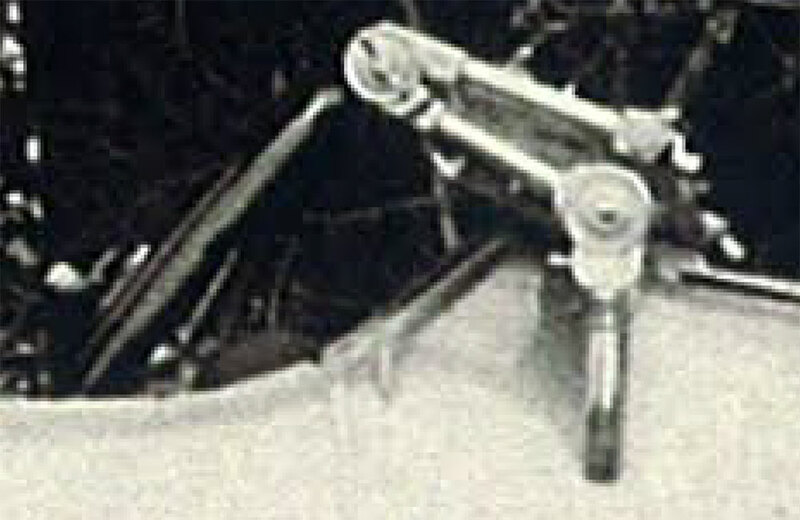 This system was very effective and allowed the continued use of a “coal scuttle” type bonnet, a feature which became synonymous with the Renault make. 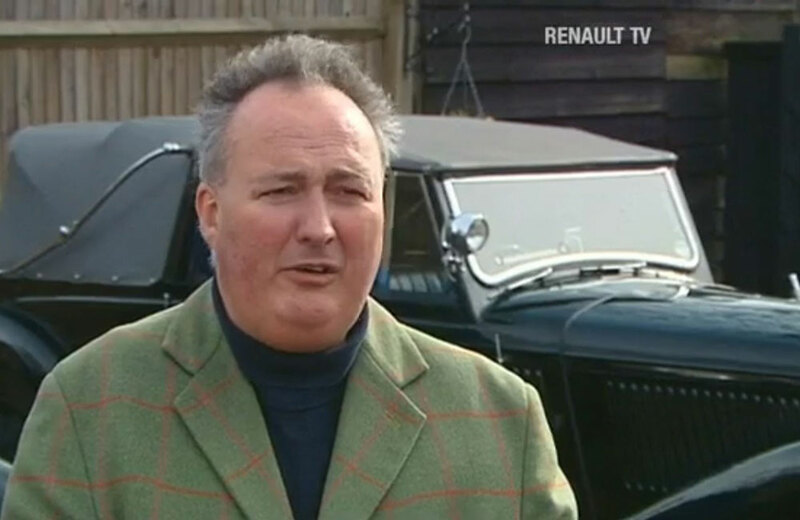 This car was bought new by the current Duke of Rutland’s great-grandfather and has remained within the same family since new. Very early on the Duke commissioned the Castle’s carpenter to produce wooden storage boxes for the running boards and an Auster type windscreen was also fitted. These features remain intact, fitted to the car today. Fittingly the car is housed in the portico at Belvoir Castle. The family have a wonderful period photograph that shows the Duke’s grandfather and father travelling in the car in 1936 alongside the castle walls. 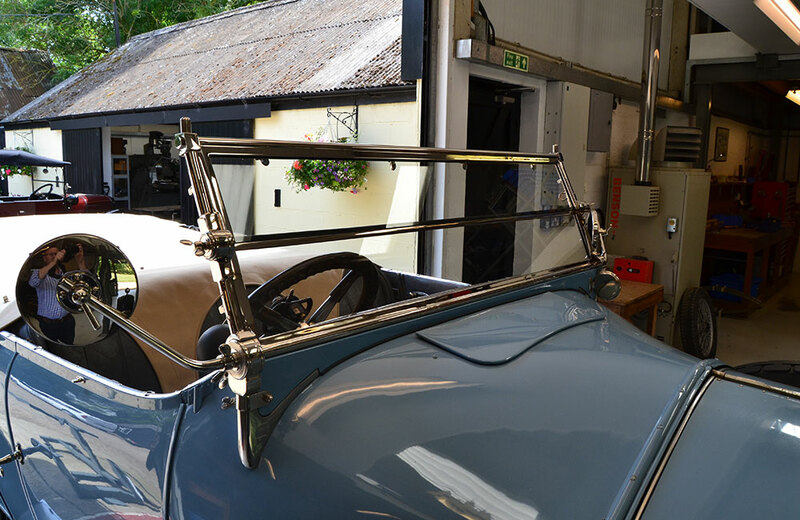 For many years the car remained unused and it was the current Duke of Rutland who commissioned us to carry out a full mechanical rebuild. Since completion the Duke enjoys a drive through the Belvoir Vale on a weekly basis, come rain or shine! Few models of car carry such an illustrious name as the Silver Ghost, having been in production since 1907. Chassis no. 120 EU is highly notable for being the last Silver Ghost produced by the Derby factory and supplied to the home market in 1925. Since then it has only had three owners from new. The car remains in wonderful original condition and strikingly its log books detail every single one of its 129,000 miles from 1929 onward. 120 EU was originally supplied with an adjustable front seat which contained occasional seats for the rear compartment, Barker dipping head lamps and a “dull polished instrument board”. The original owner was clearly an unassuming chap as he also specified no mascot or exhaust cut out. We have undertaken very thorough mechanical repairs and servicing ensuring the car runs and performs exactly as a Silver Ghost should. 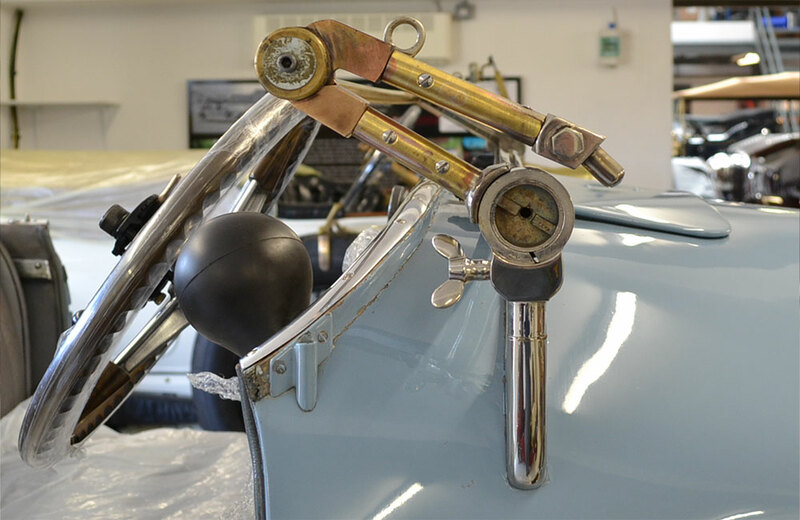 We also reconstructed the original double hinged windscreen which was exchanged in the 1950s to install modern luxuries such as windscreen wipers. In 2014 120 EU completed the “1000 Mile Trial” without fault. During the Veteran and Edwardian periods Lanchester produced high quality cars to rival Rolls-Royce and Napier. Always very strong on theoretical design they employed advanced (and often unorthodox) design. The 38hp above has an overhead valve engine, a three speed pre-select type gearbox, and worm and wheel back axle. 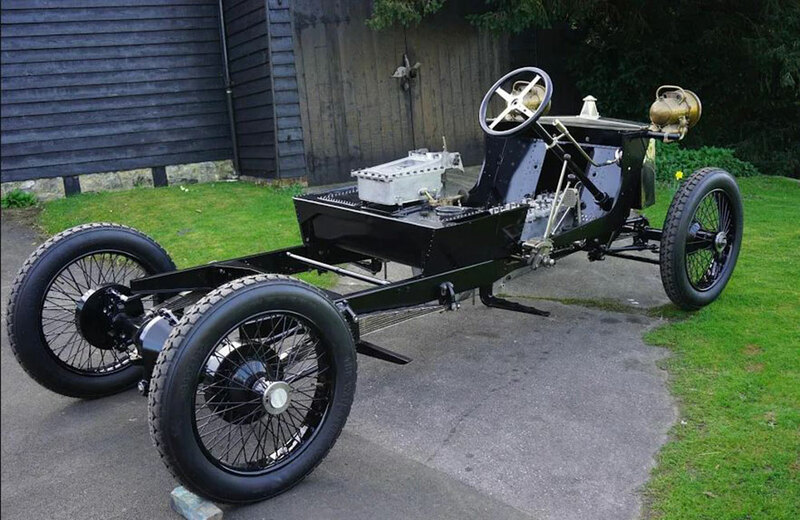 The car’s layout is typically unusual being a Lanchester design and has the engine and gearbox mounted as one unit between the driver and front passenger. This layout requires no bonnet resulting in a very spacious car, having a relatively short wheel base. This 1912 example was originally sold to H.H. The Maharajah of Rewa. He ordered a special 38hp state limousine with the roof incorporating ventilation louvres and an electric fan inside the dome. The entire limousine top and driver’s canopy were designed to be removable so that the car could be used as an open tourer. It remained in India until the 1960s and on its return to the UK it was restored. It is now nearly 50 years since the car was restored, during which time its condition has deteriorated. Furthermore, restoration techniques and knowledge have evolved so we are “re-restoring” this car. We very much look forward to making comparisons to its contemporary rival, the Silver Ghost, when the car is in “tip top” order. Restore rather than renew and conserve wherever possible.